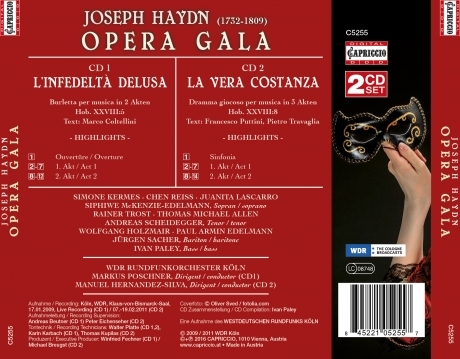 Haydn Opera Rarities with Top Stars! 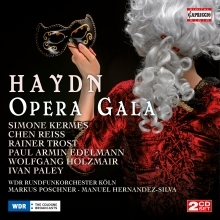 Although Joseph Haydn is still regarded above all as a master of instrumental music, he was also a contemporary of the future as an opera composer. For a not unsubstantial length of his life, he chiefly devoted himself to this genre; as the opera director of Prince Esterházy, he headed over a thousand opera productions in Esterháza including the ‘hits’ of the time as well as stage works of his own. It is unusual and a pointer to the future that women take control in both operas presented here. In addition, these female protagonists are people of flesh and blood, strong and pragmatic; the spirit of the Enlightenment can be sensed.